The reviews are in and Consumer Reports added the Chrysler 300 to its list of best buys. 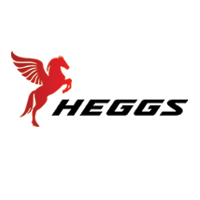 Did you hear the cheers rise up from Heggs Auto Group? We asked Big Al. Giant smile as always. 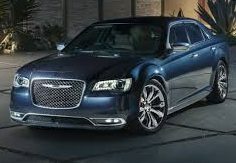 Consumer Reports cited the Chrysler 300 as a Best Buy last year because across the country the deals ran at least ten percent off; often more. Right now, Big Al’s got some 2017’s ready to leave the lot. He’ll throw in the bow on top. The 2018 are ins and the news is even better. Motor Trend labeled it, “the quieter, more luxurious and stoic sibling” of the Charger and the Challenger. Not bad for a larger sedan that comfortably seats five and features optional forward collision warning and automatic emergency braking for both city and highway. The experts especially like the tech. There’s an infotainment system with large touchscreen interface, a wide range of features, and quick responses. Drivers take their pick of two premium sound systems. Edmund’s joined in as well. “Bold American style in a big, quiet sedan sounds like a tall order, but it’s all there in the 2018 Chrysler 300. The 300 shuts out the noise and bumpy roads along the daily commute, but it announces itself loudly, both through sharp exterior lines and the rumble of an available V8 engine.” Does it get better than that? Big Al and the team at Heggs Auto Group is waiting for your call. Tell them The Duchess sent you and see what’s in store for your holiday discount. Oh, and don’t forget the bow. Take a look here or give them a call, 480-830-8001.